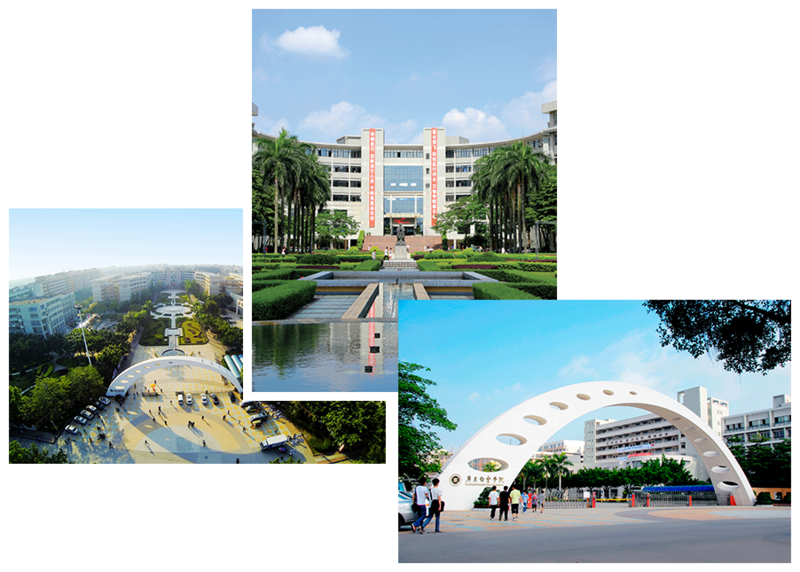 Guangdong Baiyun University (广东白云学院) locates in Guangzhou, Guangdong province and is one of the first few private universities in Guangdong province approved by the Ministry of Education for establishment. The University has positioned itself as a university of applied science and technology. By adopting the “student-centred” (“以学生为中心”) education approach and with the support of internationalisation and informatization strategy, Guangdong Baiyun University is committed to equip graduates with practical skills and capabilities desired by the development of emerging industries in Guangdong province and the strategic upgrade of Guangdong’s economy. The University offers 52 bachelor’s degree programmes and one junior college diploma programme, including mechanical design manufacturing and automation, business administration, fashion design and engineering, and consists of 16 colleges and six research institutes. In the 2018/2019 academic year, the total number of students amounted to approximately 27,000. As a university focusing on applied science and technology, Guangdong Baiyun University strives to provide students with a simulated work environment so that they can gain knowledge and skills that can be immediately applied to workplaces after graduation and have a seamless transition from schools and workplaces. To realise such educational goal, Guangdong Baiyun University has established a workplace simulation training platform in its campus based on the principles of building an enterprise-like simulated training environment by cooperating with enterprises and offering training courses with designed workplace simulation. Guangdong Baiyun University is ranked No. 1 in terms of overall competitive strengths among top 10 private universities and colleges in Guangdong province for ten consecutive years from 2005 to 2014. © China Education Group Holdings Limited. All rights reserved.